Had this book been out when they were still young I would have loved to read it to them. It's a great book to read to young children! The amazon review says it all, I couldn't say more about it. If you have a young child or if you have a young grandchild this book is for you and you will always be glad that I let you know about it!! 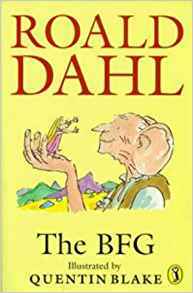 I am guessing that no matter what his life was like (and it wasn't all peaches and creme)for Mr Dahl, that a big part of Roald loved children and loved never quite growing up. This is a super book. Get it and give it to some child for any reason you can find... they will thank you for it. Amazon Best of the Month, April 2008: In her cinematic debut novel, Kate Morton immerses readers in the dramas of the Ashbury family at their crumbling English country estate in the years surrounding World War I, an age when Edwardian civility, shaken by war, unravels into the roaring Twenties. Grace came to serve in the house as a girl. She left as a young woman, after the presumed suicide of a famous young poet at the property's lake. 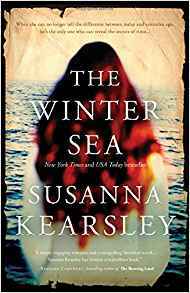 Though she has dutifully kept the family's secrets for decades, memories flood back in the twilight of her life when a young filmmaker comes calling with questions about how the poet really died--and why the Ashbury sisters never again spoke to each other afterward. With beautifully crafted prose, Morton methodically reveals how passion and fate transpired that night at the lake, with truly shocking results. Her final revelation at the story's close packs a satisfying (and not overly sentimental) emotional punch. I read this book about 2 years ago.. I can't say I was overly thrilled with it but then I had just come off of reading The Thirteenth Tale which I loved, loved, loved. So I gave the books a second chance when I found it for .50 cents. It's a tale of secrets that people in the service of the rich learned to keep. A house with a family filled with secrets. There were secrets of paternity, of love and feelings of failure and disappointment and even a sub story of a love story that made me smile in the end. All of it told by the elderly maid, Grace. The story was mainly about the family that lived at Riverton, but it was also Grace's story. How at 14 she began working at Riverton and worked her way up to being a personal maid to Hannah, the oldest daughter of the house. Over years secrets were kept and secrets were discovered... and in the end Grace passes on those secrets ... but you will have to read it to find out what the secrets are and who they got passed on to. I guess what I learned most was that it's really hard to give a book my full attention when coming off of one of those rare, but extremely special, reading experience that one gets now and then. You know, one of those that you can't say enough about and keep telling everyone that they have to read it... yeah those books. So I am glad I gave this book a second chance.. it's a good read. There are secrets to be learned while reliving old England in a time when the rich were the rich and the servants were rarely anything but servants. 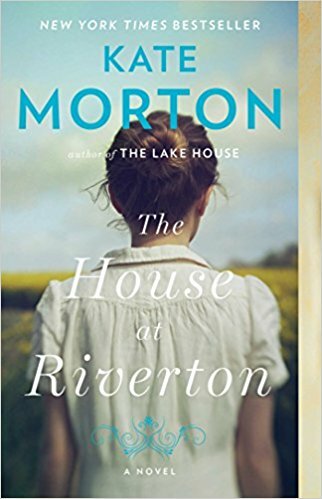 I look forward to Kate Morton's next book, whatever it is. Mrs. Tom Thumb by Melanie Benjamin. This is the second book I have read by Melanie Benjamin. The first being Alice I Have Been. Without writing another word I will say: I liked them both! As I mentioned above, this is the 2nd book of Melanie Benjamin's that I have read. She has a style of writing that is so easy to read that it's hard to put her book down for very long. Although this is a fictional account of Lavinia's life you feel you are reading an action Biography of her. I would not have thought that such a book would be all that interesting ..but I was wrong. I really enjoyed this book every bit as much as "Alice I Have Been". Both, fictional tales of women of interest. Melanie Benjamin has done an excellent job of both. I do have to say though.. I wish there had been more about a minor character in the book: Sylvia the Giantess. She was in the first part of the book but once Vinnie had parted with Sylvia she was only mentioned once towards the end. I may have to see if I can find anything else that might tell me more of Sylvia, the Giantess. All things said.. this is a very enjoyable and easy read. I hope Melanie Benjamin does more such books at the two I have already read! The Moonstone by Wilke Collins. 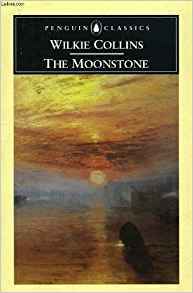 The Moonstone (1868) by Wilkie Collins is a 19th-century British epistolary novel, generally considered the first detective novel in the English language. The story was originally serialized in Charles Dickens' magazine All the Year Round. The Moonstone and The Woman in White are considered Wilkie Collins' best novels. Besides creating many of the characteristics of detective novels, The Moonstone also represented Collins' social opinions by his treatment of the Indians and the servants in the novel. Collins adapted The Moonstone for the stage during 1877, but the production was performed for only two months. Brash Statement: I have come to the conclusion that I like Wilke Collins writing above the very famous Charles Dickens! What made me wait so long to read this book after I had read The Woman in White and enjoyed it way more then I ever thought I would!? No other reason then it was a paperback with not the largest printing I've seen in a paperback. *sigh*.. So.. I finally decided to tackle it and what did I find?... I found I couldn't put it down for very long! I was limited on how much or how long I could read the print but as soon as I felt my eyes had rested I had the book back on my lap opened to where I had left off! I really REALLY liked this book! (and I really REALLY like The Woman in White also). Like Dickens, Wilke wrote some fabulous characters to weave through the mystery of the stolen Diamond, the Moonstone. There were twist and turns, there was a love story, and there were surprises and intrigue! What more can one person ask ? I really don't want to give anything away, but I can say that I think anyone who picks up this book to read a mystery taken place back in 1948.. well.. you won't be disappointed . If someone had told me that I would become a Wilke Collins Fan, even only a few years ago, I would have laughed at the statement... but a fan I have become. For now, I will say that the Moonstone should go on any reading list that likes "Victorian mysteries"... 'nuff said. 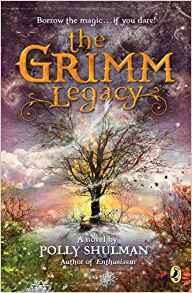 The Grimm Legacy by Polly Shulman. First off I will say that the cover to this book is really eyecatching and probably as much to blame for me getting the book as anything else. Having said that and having read the review I thought this book would have a bit more of a mystery feeling to it, but it turns out to be a YA book that is for a bit younger reader then most that I have read. It would be an excellent book to read to a child. But it was a bit too "youngish" for my taste. It is well written although I never really felt that I knew the characters well enough and never felt the story was quite strong enough. But that all could be just the fact that it is written for maybe someone 8 yrs old? So, yes I was a bit disappointed, but only because I had thought it was for a bit older (teenager?) person and so would be a little more in the characters and in the entire story. If you have a child that likes stories either read to them or is a reader on their own, this would most likely be an excellent book for them. 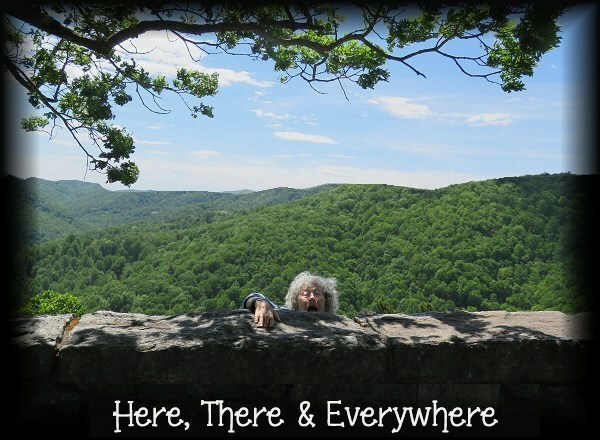 My Dream of Stars by Anousheh Ansari w/ Homer Hickam. This is a short, feel good book, about having a dream when you are very young, and through hard work and never giving up...the dream comes true. It's not all that common for dreams to come true. Sometimes no matter how hard one tries it just doesn't happen...which does not mean one should not try! The book is a feel good book . It always feels good to see the odds beaten down . What were the odds that from a country with suppressed women one would come to America, become rich, AND live her dream?! 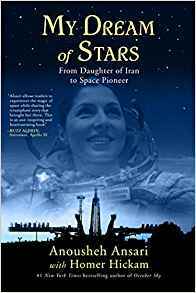 My Dream of Stars is a brief Biography of Anousheh Ansari and how she managed to have her dream come true. I was surprised that she was involved in the X Prize of a private person building their own *space ship*. I remembered little about it but did remember seeing the "flight" on TV when it happened. But to go from involvement in that to becoming a Cosmonaut ...is simply amazing, but I also have to admit to having read more interesting books about going into space and the moon etc... yet again, it's good to know sometimes dreams really do come true! I had heard many good things about this book and it felt like this would be one of those that was unexpectedly better than I had hoped. I have to say I had mixed feelings on this one. Both good and bad. Any books that I have previously read that said they were historical fiction I have pretty much enjoyed. This one, however, contained more *history* then I could enjoy. The parts that were *history* had too many dates and times and I felt like I was back in school trying to memorize all the dates and what happened when and with whom. So I will admit that once I realized the whole books was going back and forth from *history* to the present I began skimming the *history* parts. I did however read enough of it to get the story within the history. I was much more interested in the "now time". She was living by a real castle ruins in Scotland , having 2 brothers seek her attention, and learning of them and where they were was reading more to my liking. The book is written in a manor which induces fast and enjoyable reading. As I mentioned there was just too much history to my liking, and the way it was written you were basically keeping two stories going at the same time. Not an easy task for the author I am sure, and it was written clearly enough not to confuse one from the other. However. I much prefer reading one story at a time, although I am sure others will enjoy both stories and the entire book .